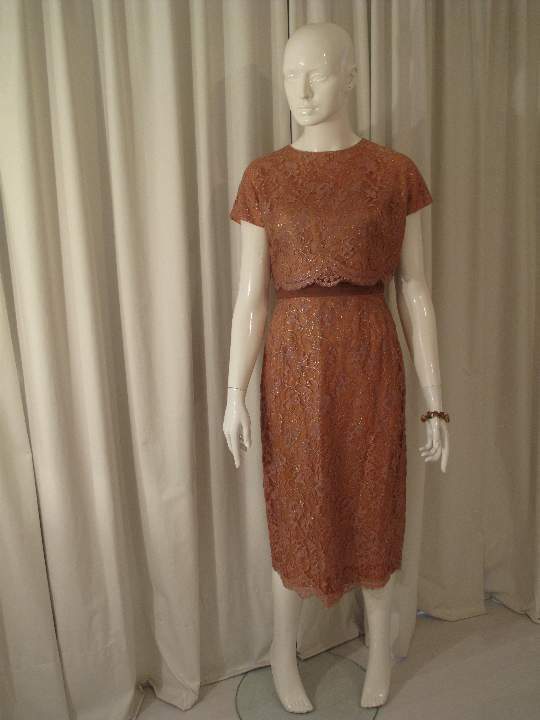 Early 1960 s Caramel and gold lace vintage two piece ensemble. 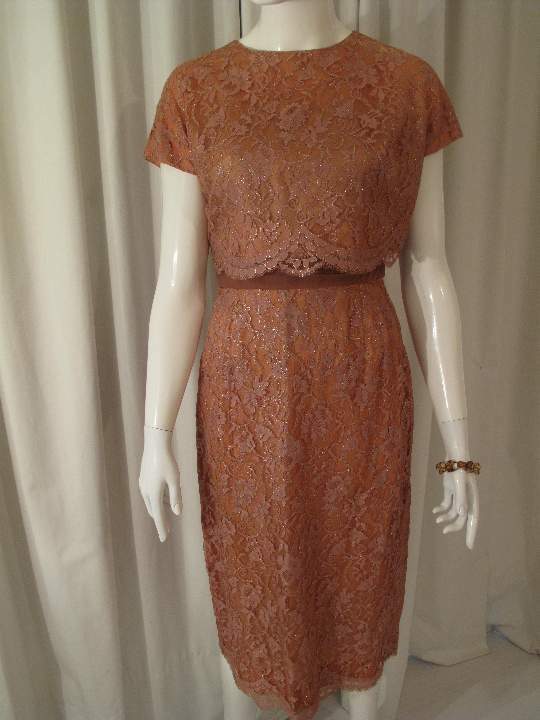 Early 1960's Caramel and gold lace vintage evening ensemble. 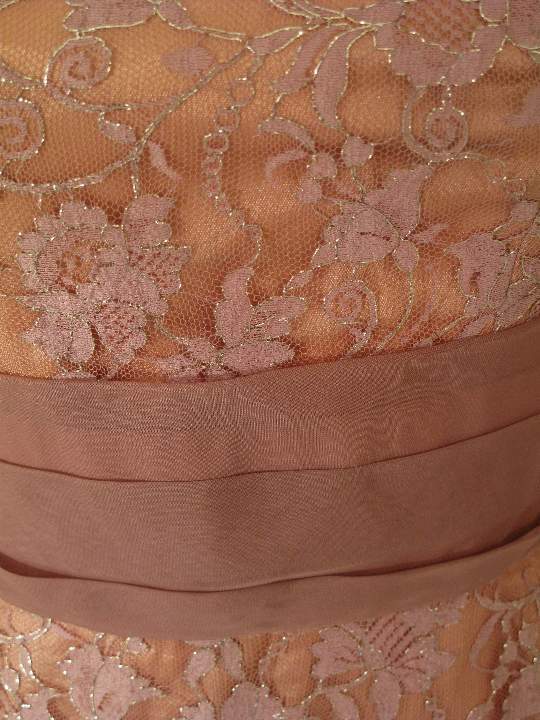 Beautiful quality caramel coloured lace with a gold metallic lurex trace line running through it. 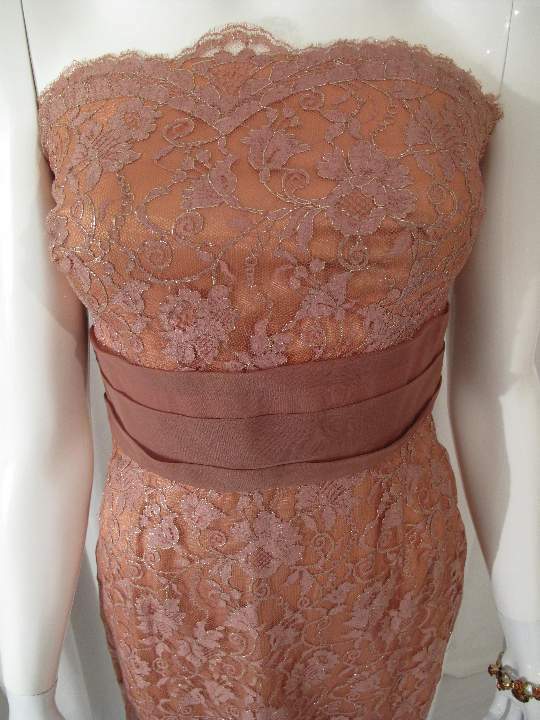 The dress is strapless with a lace scalloped details at the top of the bodice and the hem. 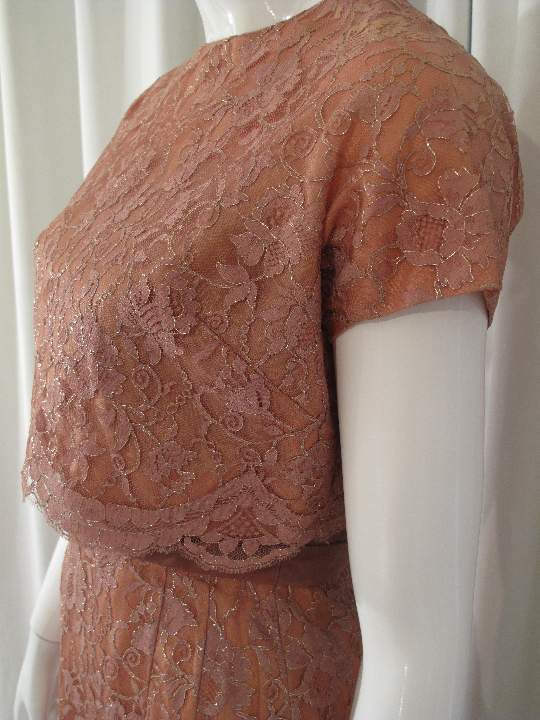 The cropped jacket has capped sleeves and a scalloped lace hem, back covered button fastening. The ensemble looks great with the looser jacket hanging from the bust to accentuate the fitted waist and hips of the dress. The dress also looks great on its own. Flattering fit and colour.